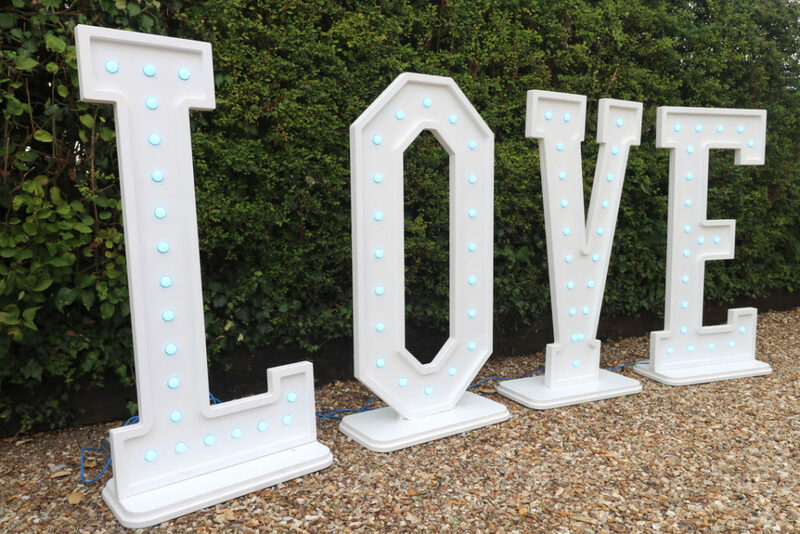 Light up wedding LOVE letters are the perfect way to make a giant statement at your engagement, wedding breakfast / reception. You can set them up behind the bridal party table, this adds a wonderful backdrop for your photographs and really adds a sense of occasion for all attending your big day. Put on the dance floor perfectly complimenting your disco. 'LOVE' letters light up your day! The letters are powered by a 12 Volt battery, with a run time between 3 - 7 hours. Love Letters for all your special occasions. 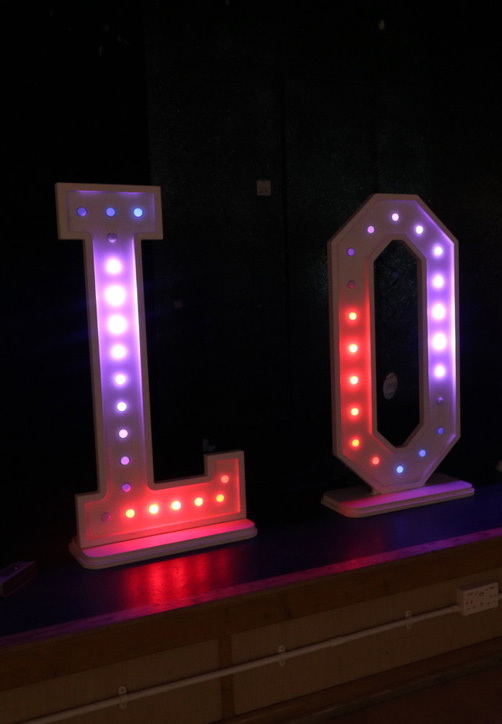 The Wedding LOVE Letters create a real illuminated WOW factor that will provide you and your guests a fantastic backdrop and photo opportunity, not forgetting those amazing selfie photos ready to share your special day with friends and family. 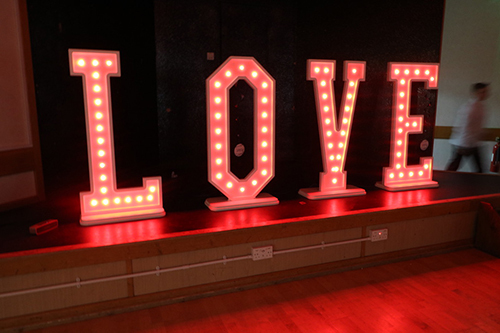 So light up your venue or dance floor with Sweetmix’s amazing single and multi-coloured wedding LOVE letters. You need an area of at least 8 foot minimum width to display the LOVE Letters. 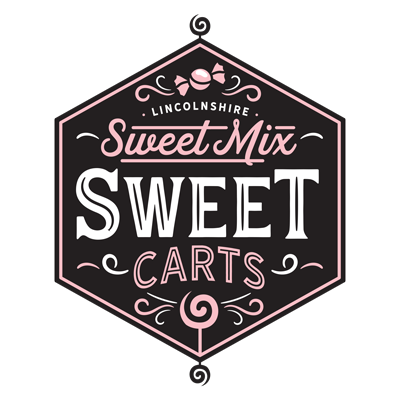 To find out the latest news about Sweetmixcarts why not connect with us on social media or email us.